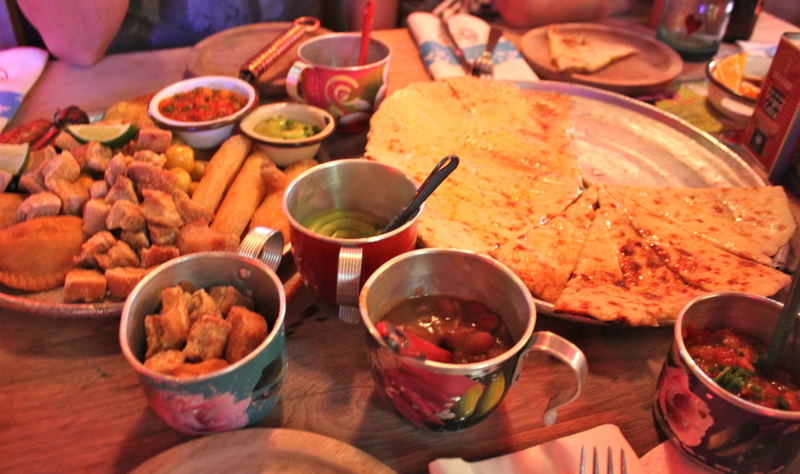 Bogotá knows how to eat. 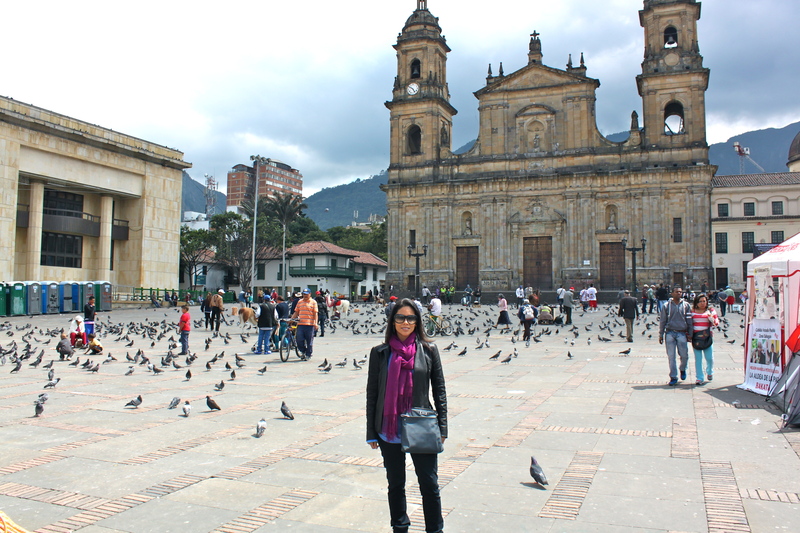 From empanadas, ceviche and chocolate with cheese to every type of world cuisine can be found in this city. Our last day in Bogotá we went on an eating spree. 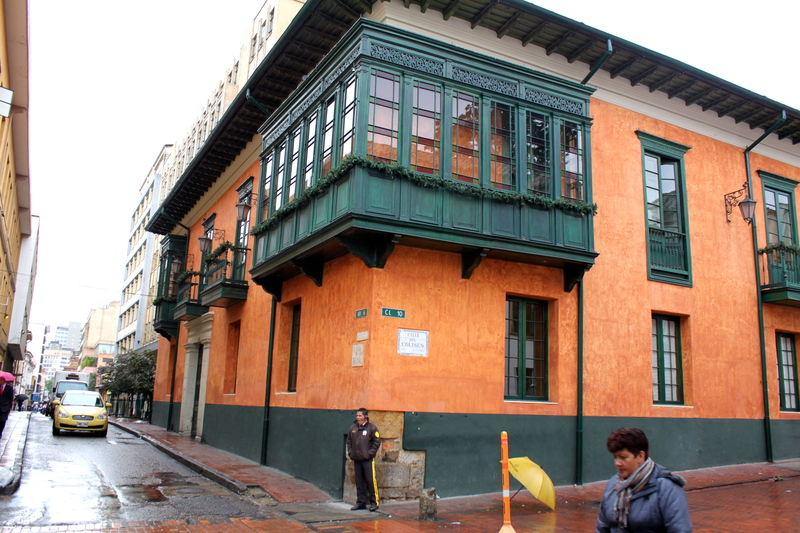 Before touring around the colonial barrio of La Candelaria again we headed to famous La Puerta Falsa, Bogotá’s oldest running restaurant (1816). They never opened so we to La Puerta de la Tradición next door and had one of the most iconic Bogotano snack: chocolate santafereño (or chocolate completo). Piping hot hot chocolate with a chunk of white cheese to drown in the chocolate and served with buttered toast. 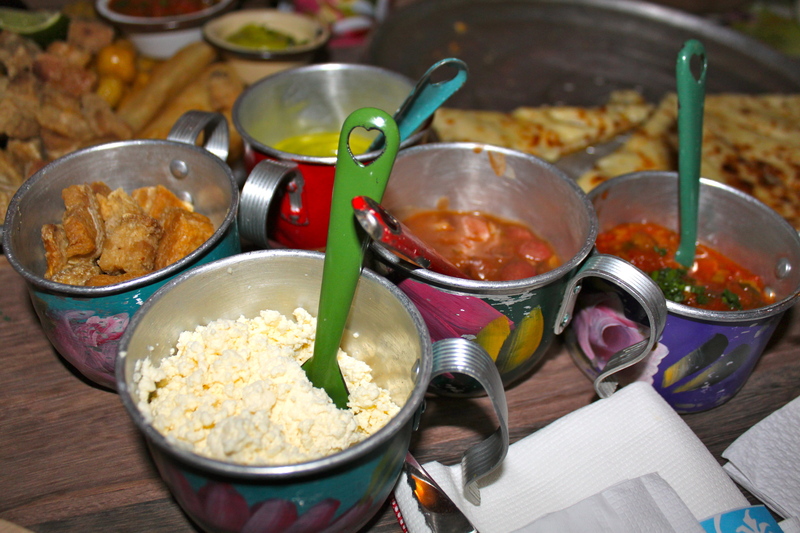 This is a must try food for Bogotá. May sound weird but the sweet chocolate and mild cheese work well together. Trust me. 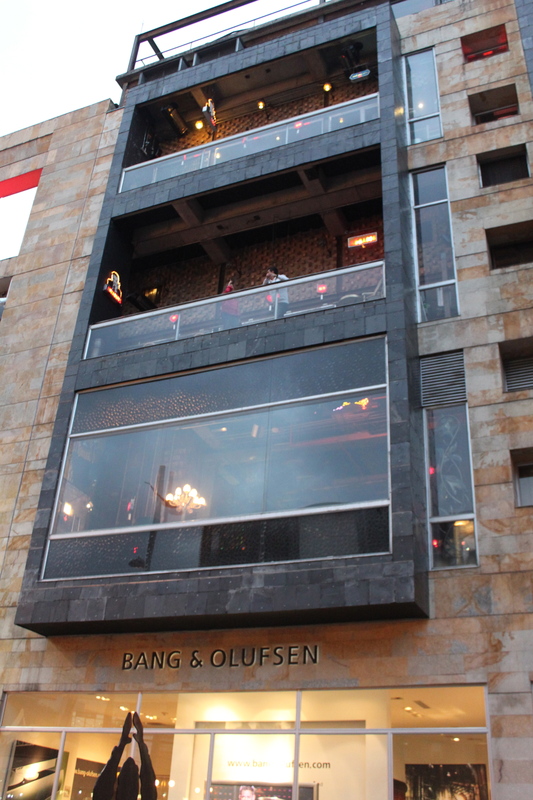 For lunch we went to the Zona Rosa neighborhood in the northern part of Bogotá which is chock full of bars and restaurants (and great shopping). 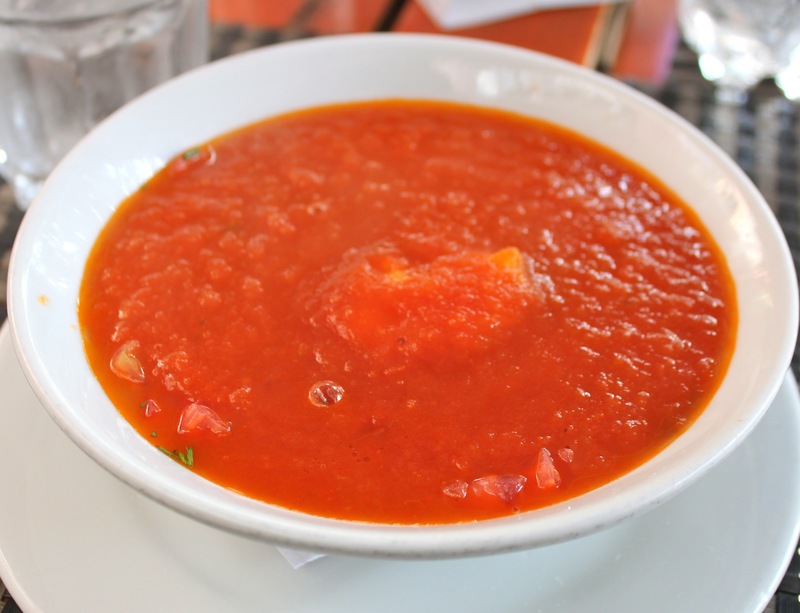 Wanting to take advantage of the weather we looked for a patio and found Restaurante 1492. Feels good to sit outside on Christmas Day. Everything here is fresh, fresh, fresh! 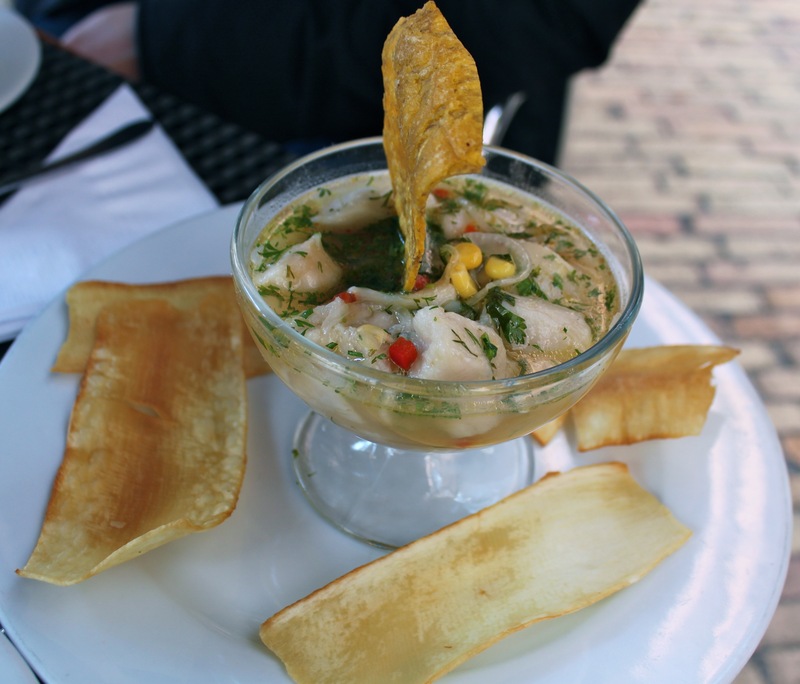 Ceviche Peruano: Pieces of fish cooked in lime juice and chili with potatoes, corn and cilantro. Served with crispy yucca. Tasted like this poor fish was swimming around just that morning. This was gone in a flash. 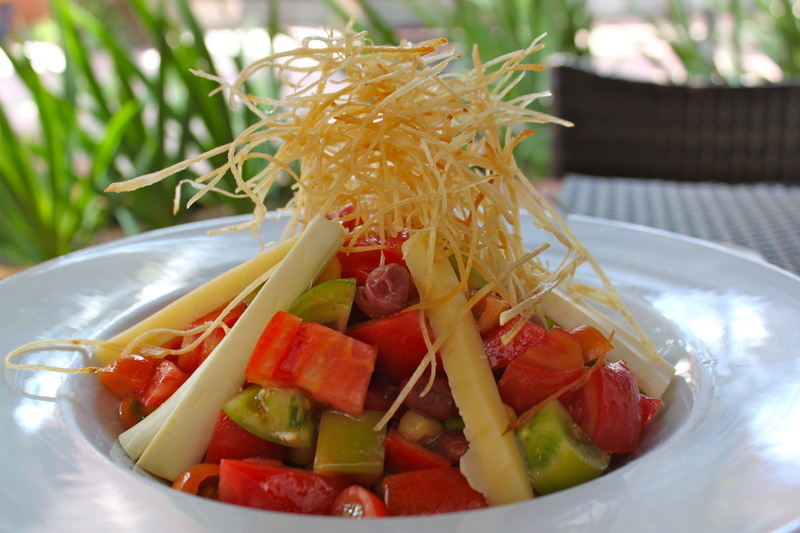 Vegetarian salad with cheese, fresh hearts of palm and a variety of tomatoes. This was a beautifully presented salad with vibrant reds and greens and big enough to be filling for lunch. Since I’ve never met an empanada I haven’t liked I had to order the vegetarian empanadas. Very crisp and not too greasy with plenty of cheese and onions and carrots. 1492 has excellent service and a huge menu selection (tons of meat we just didn’t order any in anticipation of our dinner at Andrés DC). I recommend sitting outside to enjoy the weather and great people watching. Is it time to eat again? We had our goodbye dinner with my birth family in Zona Rosa at Andrés D.C. which is basically four (five?) levels of party. 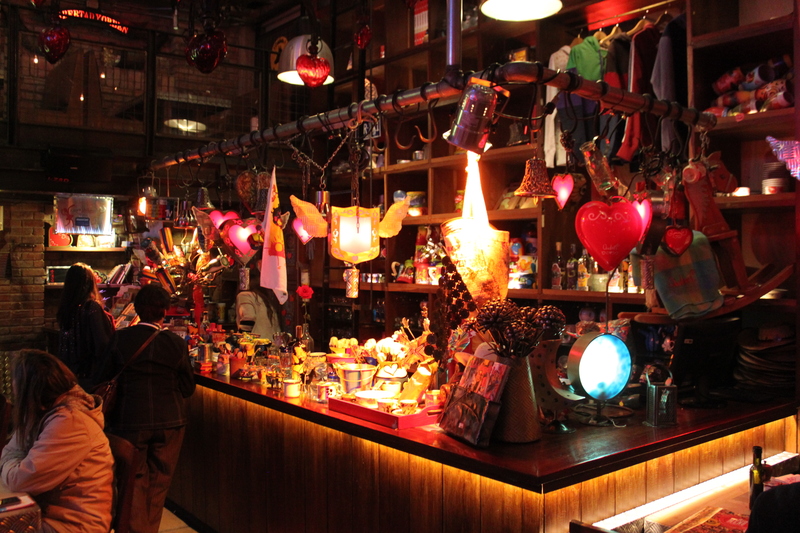 Imagine Mardi Gras plus New Year’s Eve and throw in some serious rumba music and you have Andrés D.C. the sister restaurant to the original party institution Andres Carne de Res in Chia about thirty minutes outside of Bogotá. High energy party vibe and sensory overload is what you will experience. Not for your every day but definitely the place for a celebration. Colombian comfort food and steakhouse is the most basic way to describe the book of a menu. It’s 66 pages! 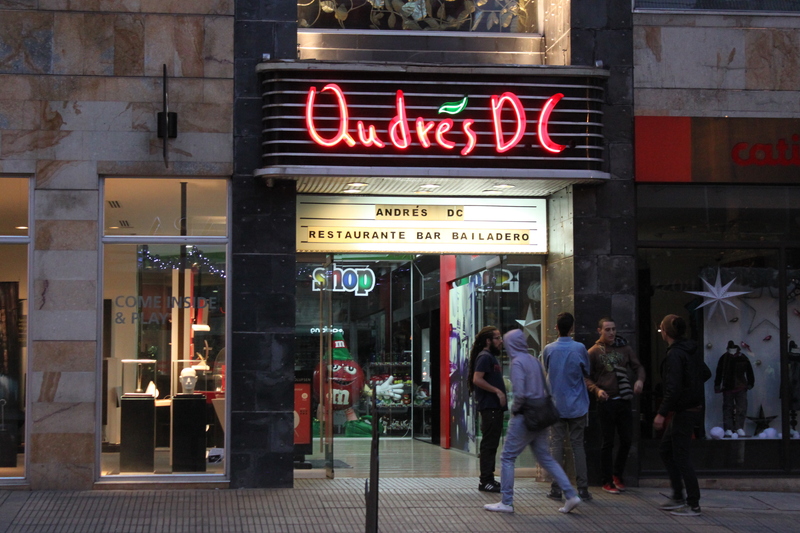 Like everything at Andrés DC, more is more. Like the wandering Santa and traveling band that came to our table when they heard we were from out-of-town. Check out this Tastemade video of our meal and the craziness. 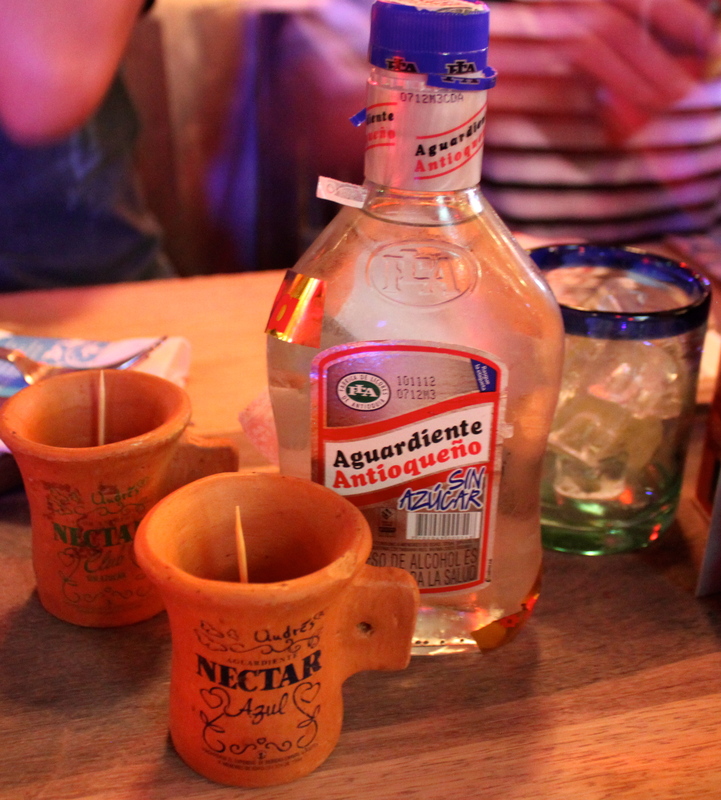 A celebration calls for the unofficial drink of Bogotá, Aguardiente! 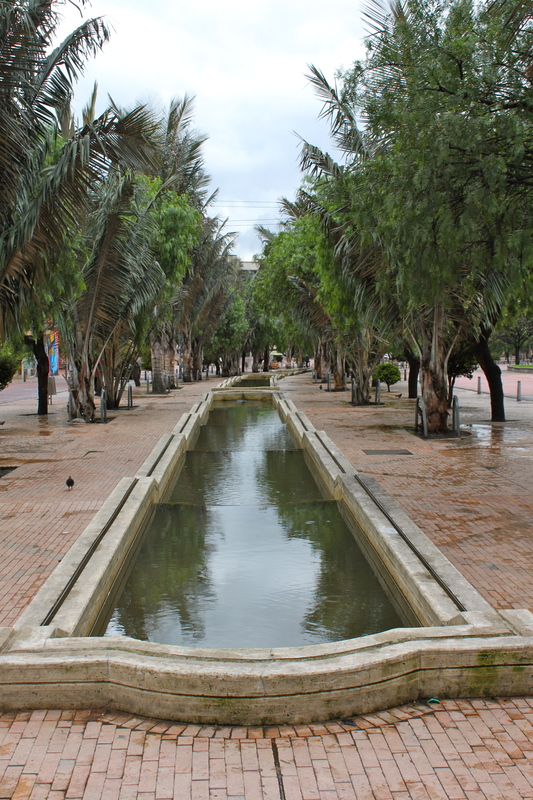 Colombia’s variation is made with anise-flavoured liqueur and tastes similar to Sambuca. People drink it in shots but I prefer sipping it neat and chilled. It comes with sugar or without and the general consensus is sin azúcar (without sugar) is better. ¡Salud! Cute shot glasses, right? Of course they sell them (and more) in the store on the first floor. 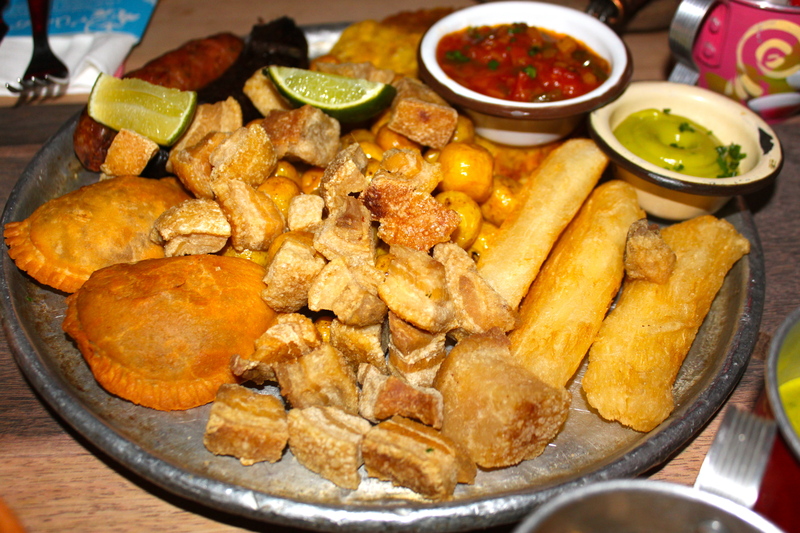 Mixtos de Fritos: Patacon, Andres empanadas, Yucca (Cassava), Yellow “Baby” Andean potatoes, pork rinds (chicharrón), guacamole mini chorizo, Morcilla “Blood Sausage” and Hogao (sauce made of onion, tomatoes and garlic used for meat and rice dishes). Frito means fried and this was one indulgent platter! The morcilla was the standout with its robust and bold flavor. I will never turn down an empanada and my second helping of the day was delicious this time with meat. Tostón con Todo: Plantain with cheese which is basically pizza which means I loved it! It came with a bunch of sauces and sides so you could customize every bite. Guacamole, carne molinda (ground meat), hogao, pork rinds (chicharrón), antioqueño cheese and red beans. 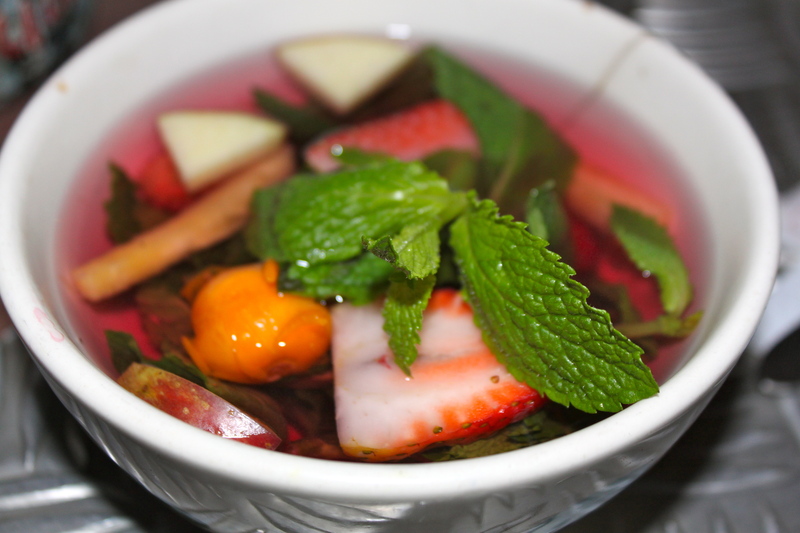 I finished off the meal with a lovely aromática that came full of fruit and was a brilliant pink color with fresh mint. The perfect end to one of the most vibrant and alive dining experiences I have had in a long time. Come here to celebrate, you will never forget it!